Our last post discussed how to prevent mildew and mold forming in bathrooms on shower tiles. This focuses on how to remove mildew from tiles in showers once it has formed. The first recommendation is to keep your shower clean and dry if you want to avoid mildew and mold in the first place. Once it has formed, you will need strong cleaners to remove the stains. There are many products on the market. Some work, some do not. We are not recommending any one particular product. Vinegar works well as does bleach, however you need lots of ventilation and protective gloves. Be careful of your clothes as well to avoid stains from the bleach. This picture clearly shows lots of mold on the grout. 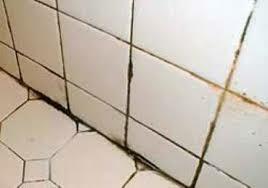 Consumers need to remove all soap scum, calcium stains etc from the tiles. It is going to take some time and elbow grease to remove the stains. Using bleach or vinegar, spray the tiles, let it soak for awhile and then scrub the tiles. Wash with water. Repeat the process until the tiles are clean. The soap scum on the grout is much more difficult to remove. Scrubbing and application of vinegar will remove the surface material. If the grout was not sealed in the first place, the soap scum will come off. A high pressure steam cleaner can be used to clean the grout as well. This works well although again your need to use a lot of elbow grease to clean the grout. The worst case solution is to use a grout removal tool to get all of the grout material out of the joints. Re grout the joints and seal the grout joints. Once you have your shower tiles nice and clean follow the steps outlined in the previous post to prevent further damage from mold and mildew. Keep your shower walls dry and clean your shower every two weeks. 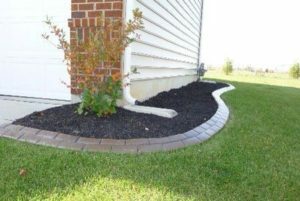 When placing mulch beside the foundation there are several issues to consider. Consumers want to avoid future problems. Although it may look nice, if leaks, deterioration of the foundation, mold etc develop you will regret the day you placed the mulch. The main consideration is always about the presence of water, drainage of water and moisture remaining in place. 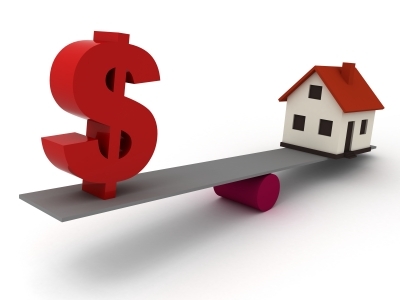 Whenever there is water present in liquid form or dampness, there is a chance that your foundation will pay a price. This means it will cost you money at some point in the future. We will explain further. Always keep the ground level at least 9 inches below the top of the foundation. Always avoid earth or mulch touching a wood wall or siding. Water will penetrate and begin rotting your joists. Lack of eaves troughs allows water to fall next to the wall and the foundation. Install eaves trough and channel the water away from the wall. By following these steps you should be able to avoid leaks in your basement, damp basements and deterioration of supporting wood structures sitting on top of the foundation. For other maintenance information concerning your home, click here. Our furnace just quit working and our air conditioning unit is 27 years old! Amazing life cycle and it still works. The furnace is only 14 years old and we are trying to figure out if we should rent or buy your furnace and air conditioner or just repair it. Most people would just say replace it. After all the AC unit does not owe you anything and it will likely quit sometime soon anyway. We could perhaps just repair the furnace and hope for the best. However we wondered what the economics would be considering repairing the furnace or replacing both the furnace and the AC unit. Also a third scenario has been proposed and that would be to rent both units. The price would include all cleaning and servicing for as long as we paid the monthly payment. My initial reaction was to always purchase however when you do the math, there is a surprising answer. We assumed a 15 year study life, a cost of $9500 to purchase the units, a cost of $25 a month to provide service and warranty once the manufacturers warranty was finished. We also assumed a cost of $700 for repairs which would last for one year. 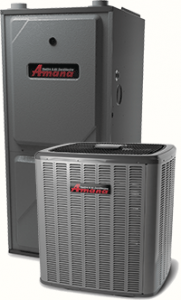 The rent scenario assumes $50 a month for the furnace and $45 a month for the AC unit including all servicing and warranties. Using these numbers it makes sense to rent if you are planning on 12 years or less to rent. It makes sense to purchase if you feel that the units will last longer than 11 years which they should. However I need to find $9500 to pay for the installation and I still need to pay $25 a month for insurance. I can finance the cost of the furnace etc. Or I could use some of my savings to pay for these units and forego any income I might get from the current investments. I am fortunate to collect 3% on my investments at the present time. This is a real cost to me which I would save if I were to rent the furnace and the AC unit. This income when factored in changes the breakeven period from 11 years to 20 years. This is probably more than the life cycle of these new units and longer than I plan to live in the house. I still need to confirm all of the estimates with actual quotations. However I am definitely leaning towards renting and not making a purchase at this point. For more maintenance ideas and ways to save money, click here. 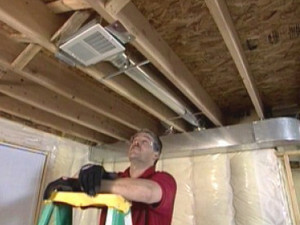 If you are having dryer vent ice dams or moisture forming under cold dryer vents, you should make repairs immediately. All of this moisture dripping on to the floor or the wall is going to cause deterioration of the wood through rotting and worse. Mold can cause health issues. We will discuss how these situations occur and what the solution is for a situation like this. Starting with this pipe shown in the picture which is the worst pipe that can be used for a dryer vent that exits to the outside. Basically warm moist air flowing through a cold pipe is going to cool quickly. This will cause moisture to condense on the side of the pipe. 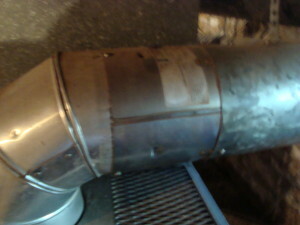 It then run to the bottom of the pipe and drip out of the joints in this particular pipe. If it is cold enough on the outside of the pipe the water will freeze. The ice can melt later when the weather warms up. This water can cause extensive damage to underlying floors and walls including rotting wood and mold. If it is cold enough the moisture can actually freeze in the pipe causing an ice dam inside the pipe as well as outside. Change the pipe to a single continuous pipe with no joints or seams. If there is a seam along the length of the pipe, make sure you install it with the seam on the top. In addition surround this pipe with insulation so that the pipe is kept relatively warm. This will avoid freezing the moisture in the dryer exhaust. 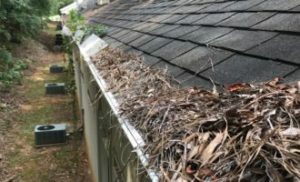 Any time you have icicles on your roof or forming from a dryer vent, there is a problem somewhere. 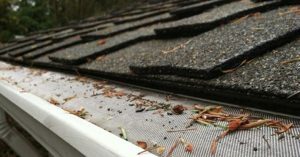 Homeowners need to pay attention to these kind of issues immediately to avoid much more expensive repairs in the future. It is a cold day in January and you might wonder why we are writing about window and door screens at this time of year. Turns out this is one of the best times to arrange for new windows and door screens to be installed. 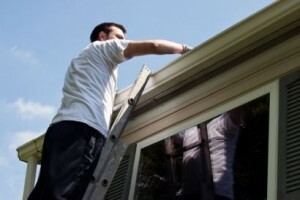 If you need a window replaced, the window repair companies are offering great deals at this time of year. They do this to keep their business going during the slower months of the year. You can easily ask for a 10% or more discount. Ask for more discounts because they are hungry for business. Winter time is a slow time of the year for them. They want to keep their people working they are willing to negotiate discounts. 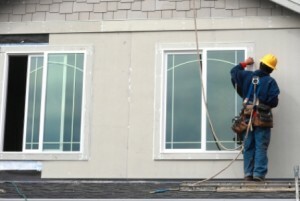 Some consumers are concerned about heat loss while the window is being replaced. Yes you do have some heat loss. However it can be minimized by closing the door to the room that is being worked on. In addition the window is only out of the window opening for 5 or 10 minutes before the new one is in place. The amount of heat you lose and the corresponding cost will be less than $5.00 worth. There is little to be concerned about. Whether it is new window and door screens, many consumers like to have screens on their windows. Particularly for the warm summer months. Open the windows, let the fresh air in and keep the bugs out. There are a variety of screens. Some are sliders like the one shown in the picture. While some fit over the window and stay in place when the window is opened. They can be removed to wash them, which should be considered once per year. Washing screens is pretty easy. All you need to do is remove the screens, take then outside, brush them with soap and water. Then spray them with the garden hose to clean off all of the dirt and soap. Do it on the lawn so the water and soap nourish the lawn. Then just let them dry in the sun for an hour and reinstall them in your window frames. While they are drying you can wash the inside of the windows as well. Your choice of window screen or door screen will pretty much be determined by the type of window you select. New screens come with new windows. If you are installing a new door, you may want to install a second door with a screen. 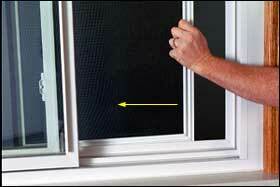 In all cases make sure that the window screen or door can be locked to prevent access. Even though someone can easily break the screen, it prevents the opportunist from entering your home without actually having to break it. It also alerts you to a break in when they smash through the screen. 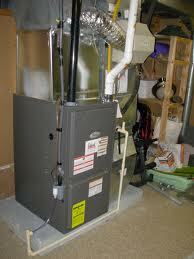 For more information about routine maintenance around your home, click here. Having just spent the last couple of weeks painting several rooms in our home, I thought it would be interesting to write about what I learned. And cover some of the steps to follow when painting a room in your home. We have baseboards along the floor which is standard in all homes, hardwood floors and popcorn ceilings. There are several windows and doors with closets. This means there is lots of trim to deal with. In addition these rooms have not been painted in a while so there are nail holes in the walls that were used to hold up pictures, mirrors and small paintings. There is even the odd nail pop and other imperfections to deal with. In addition, to painting my wife has decided that all of the door hardware etc is going to be changed along with the window coverings. You get the idea we hope of what the typical room is like and what needs to be done. Proper preparation of a room before you actually start painting can save you a lot of time. For example all of the furniture should be removed from the room or at the very least moved into the center. Everything should be taken off the walls. Any nail holes or nail pops should be sanded and plastered. There will be dust on the floor and on the corner round. Make sure you vacuum up all of all of the dust and then wash the floorboards and corner round. The last thing you need to do is to apply tape on the floor against the wall to protect the floor from any paint while you’re painting and doing edging. Some people will also tape the windows to keep paint from getting on the window panes, however I just use a steady hand and a high quality brush. The next step is to actually paint the room. Start by cutting in all of the edges along windows and floors and ceiling. You can use a one and a half inch brush that has that is high-quality. When cutting in make sure you paint from the edge out at least 3 inches from the wall or window. Once all the cutting in is completed, you can then use a roller to paint the walls. Never start at the edge, always start at least one roller width from the edge of the wall or the last point that has been painted. Roll back towards the area that has been painted. This allows you to overlap and distribute the paint evenly. Roll slowly so that you don’t have paint splatter. If using latex paint you can usually paint again the second coat within a few hours however I’d like to wait at least 24 hours before adding the next coat. 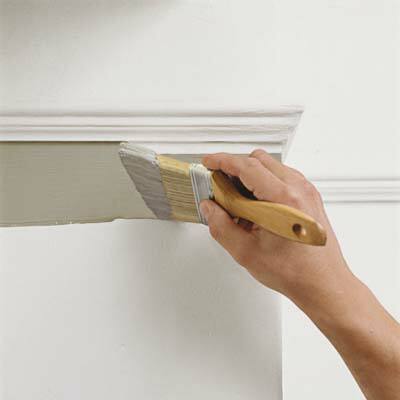 Give all of your trim a new paint job as well. We painted all of the window trim, door trim and doors with white paint to provide a contrast against the paint that we placed on the wall. If you are replacing the hardware on the doors for example remove the old hardware first before painting. Complete all of your painting and then install new hardware. Hardware includes hinges as well as door knobs or handles. Following this approach will avoid paint getting on any of the new hardware. Once you have completed painting the room it is now time to clean up. You will want to remove all of the painters tape that was placed on the wall and windows. You may also need to do some touch ups here and there if you found that you missed a few spots. If by chance you got any paint on the floor now is the time to clean the floor. Vacuum first and then wash all of the floors to complete the job. While this sounds like a lot of work, it is the best way to ensure a high quality job. Using a pressure washer to remove stain or paint from a deck is a great time saver and does a fantastic job if completed properly. 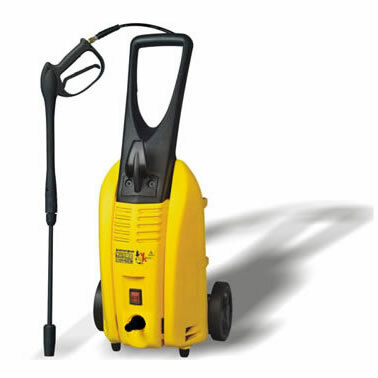 A pressure washer can reduce the job to hours instead of days. You may have to do some sanding after you have finished removing the old stain to ensure a smooth surface, however this is much easier compared to sanding to remove the old stain. In addition you can also remove stain out of the nooks and crannies which sanding will never be able to remove. Operators need to be careful that they do not remove the wood or cut holes in the wood if the water pressure is too high and the stream of water too tight. Practice on some areas that are out of the way and not seen or on a separate piece of wood to get the hang of it before you use it on the real thing. We suggest that you set the nozzle of the pressure washer to its widest adjustment. This will provide you with a 1 inch to 3 inch spray of water that will not damage your deck while at the same time lifting off any loose paint or stain from the wood of your deck. Consumers need to be careful that they do not remove any of the actual wood. We suggest that you begin in an area that is not visible at the back of the deck to experiment and learn to use the pressure washer. You will find that you may have to vary the distance of the end of the wand from the deck to vary the actual force of the water. The closer and tighter the spray, the more damage you can do to your wood. Start from a distance of at least two feet and determine from how much closer you need to go to get the results you are looking for. Consumers using a pressure washer should always use safety goggles to avoid any debris from getting into your eyes. Be very careful where you point the water jet to avoid damage to your person, other people or inanimate things that could be damaged by the high pressure of the water. If you follow these steps and those above, stain removal can be very easy. Never ever point the pressure washer wand in the direction of another person or pet. This high density high speed stream of water can easily damage and hurt someone very badly. Flying debris can also damage eyes and hurt small children, so be very careful when you are using a pressure washer around the home or on a work site. 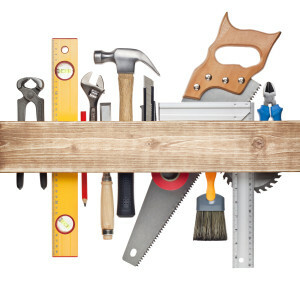 For more practical information about maintenance issues around the home, click here. Electric Chain Saws can be a great tool for many home owners. They will save you a lot of money and they are easy to use. Also do not require gasoline or oil to mix with the gasoline if it is a two stroke engine. They are electric and all you need to do is plug them in and they are ready to use. They are also relatively easy to use as long as you have an electrical outlet. This can be a problem if you need to cut trees and small shrubs in the bush. 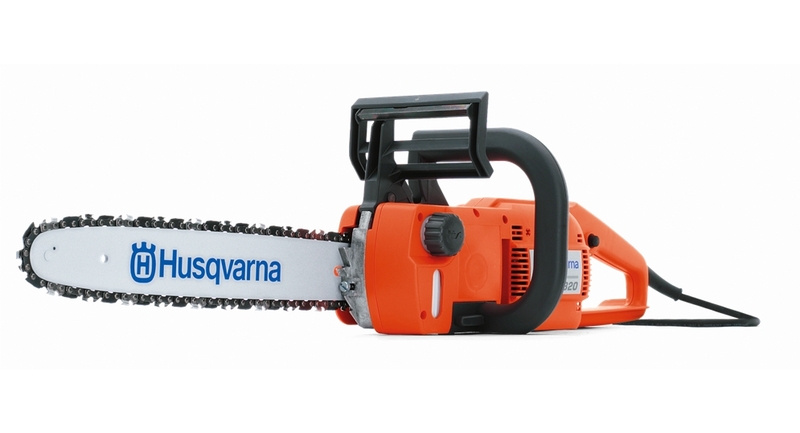 We will discuss a few more items about electric chain saws. These issues may help you in your decision to purchase an electric powered saw vs. a gas powered saw. Maintenance is pretty simple. Usually all that is required is oil for the chain in the reservoir to keep it lubricated. Also the occasional sharpening of the links on the chain. 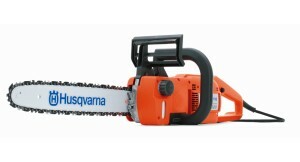 There is not much else on a regular basis that you need to do with these saws. You do not need to mix gas and oil for two stroke engines and there is no carburetor to tune up once and a while. Electric chain saws are really easy to use, just get a long extension cord of sufficient gauge and plug it in and you are ready to go. You will need to make sure that you are using a heavy gauge electrical extension cord to ensure that sufficient power is delivered to the saw so that it will operate at peak efficiency. Review the manufacturers guidelines to make sure that you are using the correct extension cord. If you use to light a gauge chord, there is a risk of the motor not generating enough power and over heating due to the voltage drop over the length of the chord. Just like the gas powered versions these are dangerous tools which can do a lot of damage if not handled properly. Always use the emergency shutoff to avoid kickbacks and damage to yourself. Make sure that your chain is always sharp. if you are falling a large tree, wear a hard hat to avoid being hit on the head by falling branches that might be dead and ready to fall. Make sure that the falling direction of the tree is free and clear of any people, pets and buildings to avoid any potential damage. Use gloves when handling and using any chain saw. Also wear safety goggles to protect your eyes from flying debris. Review the manufacturers safety instructions to ensure that you are using this device safely. Another maintenance project for do-it-yourself people and consumers is painting the shower ceiling whenever it becomes tired looking or worse like ours. Mold on shower ceilings. The picture that we’ve taken and included in this post is the picture that shows how bad our shower ceiling was after about two years, since the last time that we painted the shower ceiling. 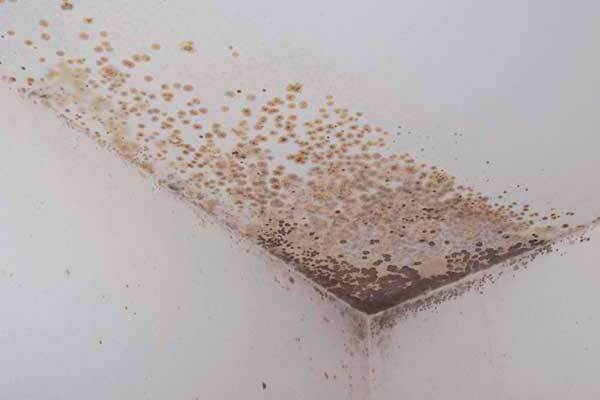 Before we talk about removing the mold, we want to emphasize that if you leave the bathroom door open and let the shower dry after each use, there will be far less mold to contend with. This is a small maintenance job that anyone can perform. Sand your ceiling to make sure that it is smooth and all mold is removed. If the mold is really bad you may want to wash the ceiling with a combination of water and vinegar. Lightly brush the ceiling to remove any dust that might remain. Paint your ceiling with semigloss or glossy paint. The paint should be able to deal with high moisture situations. If you use regular Low sheen or flat paint that paint will not resist the moisture that routinely it is exposed to whenever someone takes a shower. 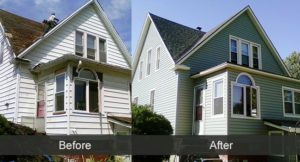 This is just a simple thing that one can do to keep your house looking great and will cost virtually nothing other than the cost of paint. Allow the paint to dry at least 24 hours before the shower is used. You want the paint to really harden so that moisture cannot penetrate. Even if the instructions say that the paint will be dry in less time, wait for at least 24 hours. One caution, if you’re using a step ladder in your shower always protect the feet of the ladder, so that it does not scratch the bottom of your shower. You can use a couple of old towels placed on the bottom of the shower. If there’s some concern about the stepladder slipping, you may want to have someone hold it for you. We always use latex paint, since there is less smell and it is easy to clean up. If you use oil based paint, make sure there is lots of ventilation to clear the air. It can become over powering if there is no ventilation. Open a window, use a fan etc to move the air from inside the shower where you are working. In our particular situation, there is no fan to draw the moisture out of the bathroom. It is not expelled outside when people are taking hot showers. There probably should be a fan. The builder should have put a fan in the bathroom however it was not done. There are fans in all the other bathrooms, even the one which is just a two piece. If you happen to be a new homeowner, who’s having a home built, this is one of the things to look for. Make sure that there are exhaust fans installed in all bathrooms.